Service Specials Archives | Orchard Chrysler Dodge Jeep Ram " "
10% Off on Fridays Every Friday at Orchard 50 Years and Older Receive 10% Discount on Parts and Labor! Only $212.95! 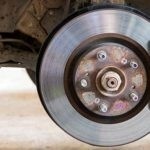 Service includes machining of front or rear rotors, cleaning and lubrication of caliper slides, inspection of brake hydraulics, and brake pad replacement with genuine Mopar© Value Line pads.